BlackBerry Passport is priced at Rs 49,990 in India. The BlackBerry Passport, which has been launched in India for Rs 49,990 just days after it was revealed to the world, is the most unique phone in recent times. 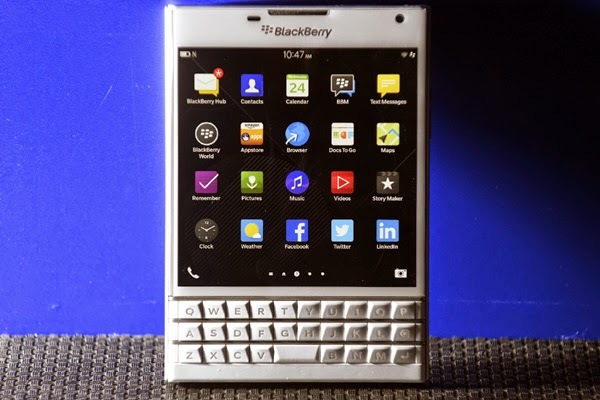 It has a large, square touchscreen, as a well as a very BlackBerry-like full QWERTY keypad. However, the innovation is not in the shape or form factor, but in making the keypad more functional that in any other device. While you can type like in any BlackBerry phone, the keypad here is also touch sensitive and can be used to move the cursor around or flick suggested words like with all-touch BB 10 smartphones. With a stainless steel frame and a very strong built, the phone feels premium and robust. It also houses a battery that can last almost two days. The 1:1 ratio of the screen means you never have to change the orientation of the device to view something better. In fact, this phone offers the best views in town and can let you scan spreadsheets and docs without resorting to pinch or zoom. Sunil Lalvani, managing director of BlackBerry India, said that the design element is meant for power professionals. “The phone is built on feedback from users and giving them better battery life and a wider view. The display is ideal for those who have to see a lot of Excel sheets or read documents,” he added. Lalvani said you cannot expect a sub-Rs 5,000 device from BlackBerry as a manufacturing costs are very different and material used is premium. “The traditional consumers want apps on a cheap device. The perception was that BlackBerry does not offer the apps they want. We have fixed that by pre-burning the Amazon App Store in the new OS and giving them access to 2,00,000 top Android apps,” he said. Till October 10, the phone will be available only on Amazon.in and BlackBerry brand stores.